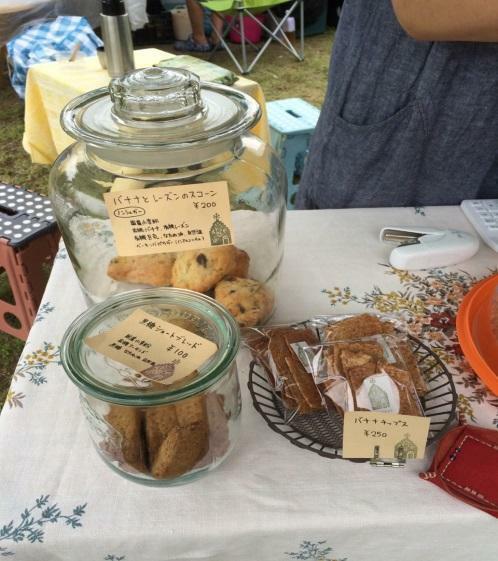 Kochi Organic Market in Ike: Let’s Eat Organic! There is endless conversations between customers and sellers. There’s children’s laughter, and a clear singing voice by a local performer that makes a more relaxed air. There are fresh organic and familiar vegetables, daily dishes made of organic vegetables, sugar free sweets and handmade crafts. But there are no northern European vegetables. Kochi Organic Market is “killing two birds with one stone”. The direct interaction between producers and consumers gives “a sense of security” to those looking for healthy organic products. At the same time, organic farmers are able to connect with a growing number of health-conscious customers. The money stays within the community and affects the local economy. More money goes directly to the farmer, instead of to things like marketing. Organic fruits and vegetables are harvested when they are full of flavor and fresh, it is on season as well. Some studies show that organic foods have more benefits, such as antioxidants. In addition, people with allergies to food like additives are often recommended to eat only organic foods. ‘Conscious selling, conscious buying’. 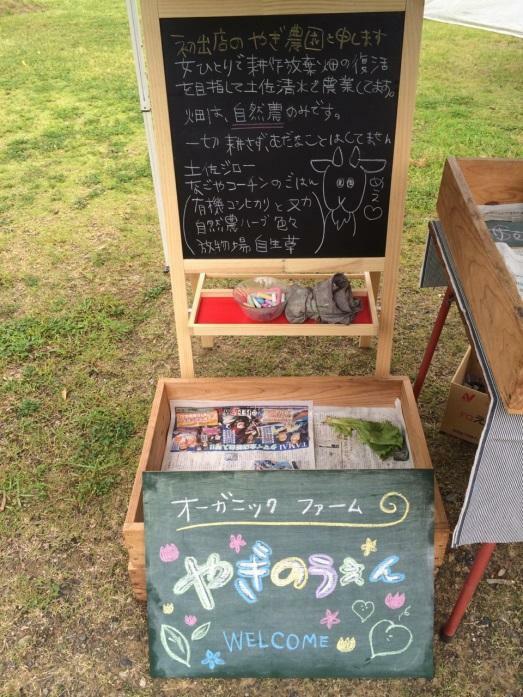 Toyohide Hirose, the owner of Kochi Organic Market, said this is the drift and the biggest draw. Producers can know not only the needs of customers but also new acquaintance from another producer through selling. On the one hand, customers can learn the advantages of products and how to use them from producers by. And surely there is empathy between producers and customers. This communication is the main attraction for a number of people. 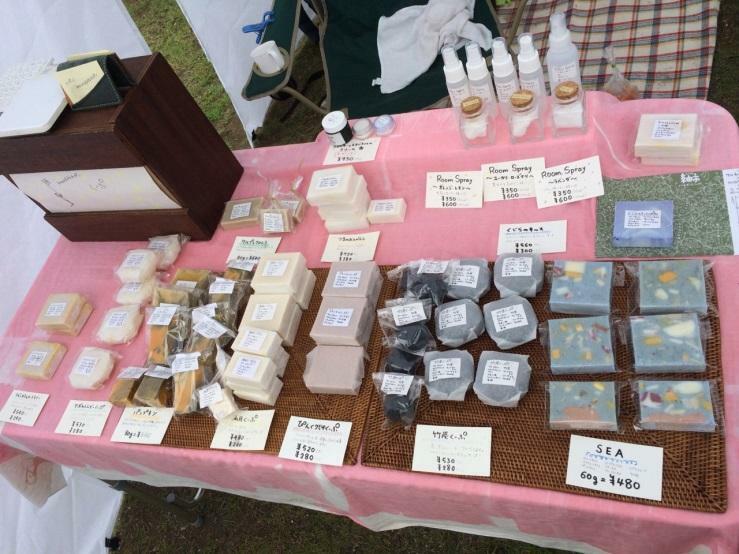 Hirose and his wife had a stall in Kochi Sunday market, but there were few other organic items. They decided to join with other folks who were selling organic items to consumers who needed organic vegetables. They wanted people to know the good points of organic food. It was the beginning of Kochi Organic Market. At first, there were two problems. ‘Location’ and ‘store’. 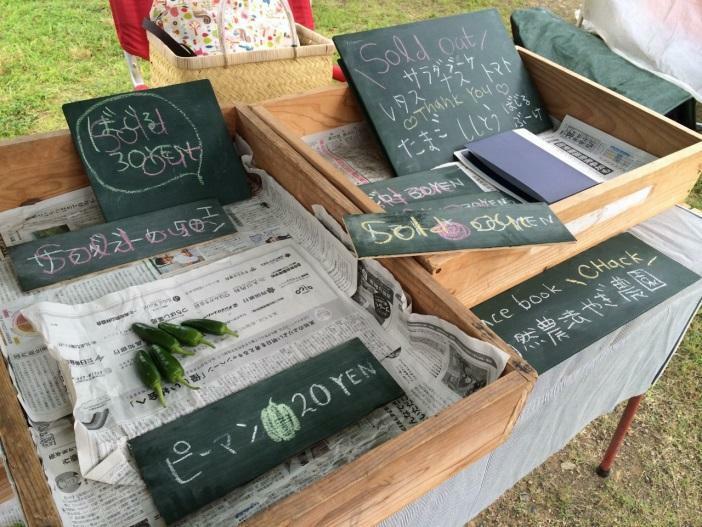 Originally, Kochi Organic Market was held Saturdays Market at Kochi harbor. However they were ordered to move to another place because the market is not purpose of harbor. After the long search they found IKE park. Even with a good location, customers will not come to the market without good stores. “If there is a good location and good shops, customers will come to the market naturally”, Hirose said. Kochi Organic Market has guidelines to ensure this. If the new store owner wants to join the organic market, he needs to follow the guidelines because the Kochi Organic Market is built on trust with customers. 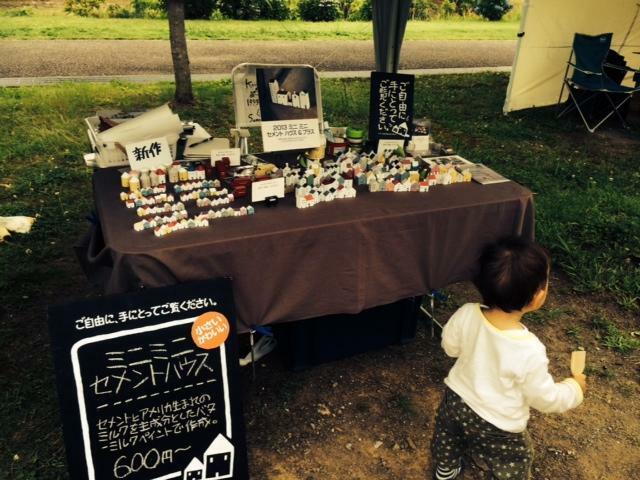 “It’s a style of a holiday” explained one repeat customer who comes from Kochi prefecture with her family. The reason why she comes this market almost every weekend, the most vital reason is that she is fascinated by atmosphere of this market, and also for her son who is 3 years old. What she strives for daily is to choose organic vegetables for her family, especially her son’s health. Surprisingly, only 3 years old kids know the taste of “natural sweet”. In front of us, the boy choose natural cake as usual. He is a regular customer. She mentioned the difference between Sunday market and Kochi Organic Market. She use Sunday market for produce, but she visits IKE organic market just for the atmosphere. After the interview her family left the market with big smiles. “Approximately three years ago, I suffered from eczema without a known cause, so I decided to cure myself with self-healing. I started a macrobiotic diet. After purification of my body, I realized that it is difficult to find a restaurant in which I can eat with peace of mind.” At the same time she decided to open her shop for people in the same situation as her. “Kochi prefecture a root to an organic life style”. Now she devotes herself to healing heart and body through food. 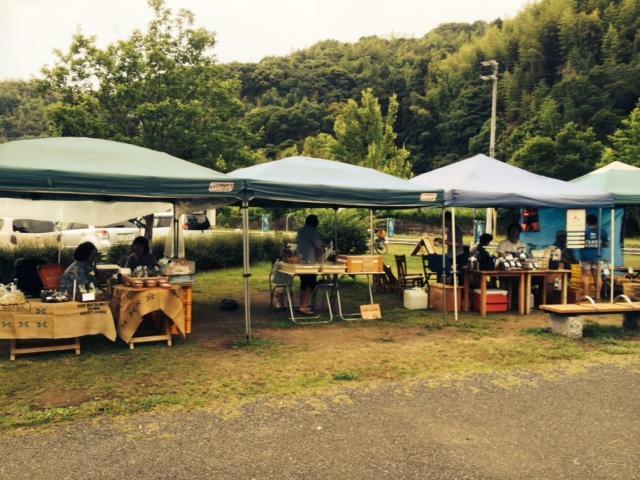 As of today organic markets which follow the Kochi Organic Market exist in Ehime, Mie and Tottori prefecture. “I want people to eat healthy food, especially young people.” Hirose says. Today many people worry that we are surrounded with the food which has a lot of additives. If you look at food labeling, you can see so many names of food additives. Even if they think they are healthy they worry that additives are accumulating in the body steadily. Most of these foods are made in foreign countries. People do not know if the process was safe or not. For a growing number of the people who care about their family’s health, organic foods are attractive. Kochi Organic Market is just the place for them. Organic farmers are growing organic crops wishing customers health today too. Great! I should go there sometime. Interesting people doing interesting things. Kochi really has a lot of such folks. Maybe it’s because the typical “sarariman” lifestyle is fairly rare here. Thanks for the information.